 Providing roofing services in Windsor since 1995, Cleroux & Sons Roofing is available 24/7 for emergency service. We offer free estimates with a complete report delivered to you outlining your best colour, style and product options. Whether you have a pitched or flat roof in Windsor, we can tear off your old roof and install a new one or we can repair your roof for you. We offer a full report & detailed inspection of your roof explaining how long we think your roof will last and what work may be required on it. We want to make sure that our roofing services for your Windsor home, exceeds your expectations. We make sure that our projects are spotless and of high quality from start to finish. We want to make sure that you are covered properly and safely. For more information on our roofing services in Windsor, contact us today!